It is thought that up to 80% of the population have breakouts of Acne, or Acne vulgaris as it is medically known, at some point in their lives. Though it is not a life-threatening condition, for some it can feel like a life-wrecking one. In a society that places such importance on physical appearance, a skin condition such as acne can be emotionally damaging. There are, however, a number of acne treatment options which can prove very effective. Read on to find out more. Acne is an inflammatory disorder of the skin, which causes blackheads, spots, greasy skin and, in severe cases, scarring and cyst-like eruptions. Acne is the result of the skin reacting abnormally to testosterone levels. During puberty, testosterone activates the sebaceous glands, which produce oil to lubricate the skin. For those with acne, the level of sebum secretion is abnormally high. The skin cells lining the hair ducts also react abnormally to testosterone and become sticky. Instead of dead cells being shed onto the surface of the skin, they accumulate in the duct and partially block it, obstructing the flow of sebum from the glands. The oil eventually solidifies and blocks the duct, which results in blackheads and whiteheads. These are acne’s non-inflammatory spots. However, inflammation of the skin is also a symptom of acne. It is thought that inflammatory chemicals are formed when the oil that accumulates due to a duct blockage is broken down by bacteria. The chemicals penetrate the skin and cause redness and swelling and the area becomes itchy and tender. Acne is not contagious. The germs that the spots contain, which are called saprophytes, are present on the skin at all times. If you have acne you simply have more of these. The germs are not contagious and you cannot get acne by being in close contact with someone who has it. In theory, acne should disappear when we reach our twenties, when our hormone production settles down. However, there are some types of acne that can affect adults at any time: not just the odd spot, but regular breakouts. Acne can appear for the first time in the mid-twenties or may start in adolescence and clear up around the age of 25. Others can still have acne in their forties and fifties. The good news is that acne can be treated, as long as professional advice is followed and the treatment is used correctly. It’s important to bear in mind that acne does last for a long time, even with effective treatment. Stopping treatment too soon is one of the main reasons it can fail. A wide range of preparations are available from your pharmacist without a prescription, all of which are applied topically (directly to the skin). These include anti-bacterial skin washing creams, lotions and soaps which work on reducing the bacterial activity on the skin. Antiseptic creams, ointments and soap can destroy micro-organisms, and abrasives help to remove blockages that are clogging up the skin. Benzoyl peroxide cream can be used to treat acne: it peels skin, acts an anti-blackhead agent, reduces the amount of bacteria on the skin and reduces sebum production from the oil glands. At first, it can make the skin feel sore, but it comes in different strengths (2.5, 5 and 10%) to cater for this. Start with 2.5% if you have sensitive skin, increasing as your skin becomes more tolerant. Over the counter medications do not work for everyone with acne. If you experience worrying side effects or see no improvement, book an appointment with your GP. Topical antibiotics: Antibiotics have two functions: the first is to reduce the number of bacteria within the glands; the second is to reduce the inflammation of the skin. These antibiotics include tetracycline, minocycline, erythromycin and clindamycin. They reduce the level of bacteria and inflammation in the skin, but have no effect on blackheads. Oral Antibiotics: Oral antibiotics are usually prescribed for a minimum period of six months, sometimes alongside topical treatments. The four groups that are commonly used are tetracyclines, erythromycin, trimethoprim and clindamycin. Whenever taking antibiotics, be sure to take a course of beneficial bacteria alongside (your pharmacist will be able to advise) and eat plenty of probiotic-rich foods, such as plain live yoghurt and kefir. Prescription retinoids have long been used to help treat acne. Derived from vitamin A, they help to normalise skin cell turnover, preventing the plugging of hair follicles. Prescription retinol creams, such as Retin-A (tretinoin), are much more potent and fast-acting than their high-street counterparts and must be acquired from a doctor. Isotretinoin (Roaccutane) Isotretinoin is a synthetic form of vitamin A that can only be prescribed by a hospital dermatologist. It is used to treat those with severe cystic acne that hasn’t responded to antibiotics. The effects are dramatic, usually leaving skin clear and less prone to severe acne. Unfortunately, it has a number of side effects, including skin sensitivity to sunlight, sore, chapped lips, dry, itchy skin, and nosebleeds. It should not be used by pregnant women as it can harm an unborn baby. Washing the face with soap and water is generally not advisable for those with acne. Many soaps strip the skin of its natural oils, leaving it overly dry. Soaps also disturb the skin’s delicate Ph balance, leaving it vulnerable to bacteria and infection until the balance is restored. Soap has an average alkaline pH of around 8, whereas the skin is naturally slightly acidic with a pH of 5.5. Soap doesn’t remove make-up effectively and often leaves a residue on the skin which causes further dryness unless it is rinsed off very thoroughly. Using a cleansing cream is a less risky and more effective way of clearing away the dirt and grime that collects on the skin on a daily basis. Most make-up is wax or oil based and therefore needs a wax/oil solution to remove it properly. For common acne, look for products that contain ingredients such as salicylic acid (also known as BHA) for their antibacterial properties. After cleanser, apply a toner or astringent. Those with acne should be careful to choose a mild astringent and avoid those that contain alcohol. 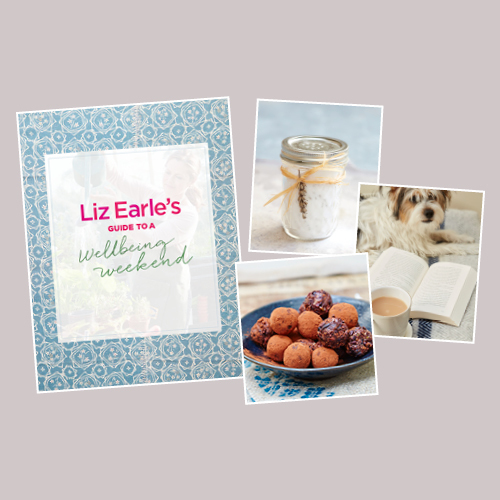 Some toners contain useful herbal extracts such as echinacea, calendula and aloe vera. If toners irritate your acne, skip this step and splash the skin with cool water instead. Pat dry before applying a moisturiser. Oily and acne-prone skins need as much protection against moisture loss and against the effects of bacteria as dry skins. Until recently, it was thought that acne could be alleviated by stripping the skin of its facial oils, but it has since been discovered that this stimulates the sebaceous glands into producing more sebum. Moisturising creams and lotions form a protective film over the epidermis. This both helps to seal the moisture in and also keeps potentially harmful bacteria out. Taking vitamin and mineral supplements can improve acne-prone skin. Those with acne may benefit from taking extra amounts of zinc – about 30–40mg per day taken 1½ hours after eating and preferably at night. Acne linked to premenstrual syndrome (PMS) or the contraceptive pill may benefit from vitamin B-complex supplements, especially vitamin B6, while a small selenium supplement of 200mcg per day can help men suffering from acne. Those who are affected by acne rosacea can benefit from supplements of zinc, the B-complex vitamins and extra vitamin C. Small amounts of silicon and zinc can also help to protect the capillary walls and strengthen the immune system to resist infection. 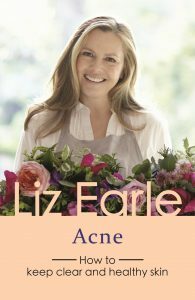 To find out more about acne skincare solutions, natural treatment options, homemade skin remedies, the link between gut and skin, and skin-friendly foods, you can buy Liz’s acne e-book, Acne: How to keep clear and healthy skin for just £1.99 here.